Trojan is a brand of DS Supplies registered in Ireland & UK since 2004 and is one of our oldest and most successful brands. 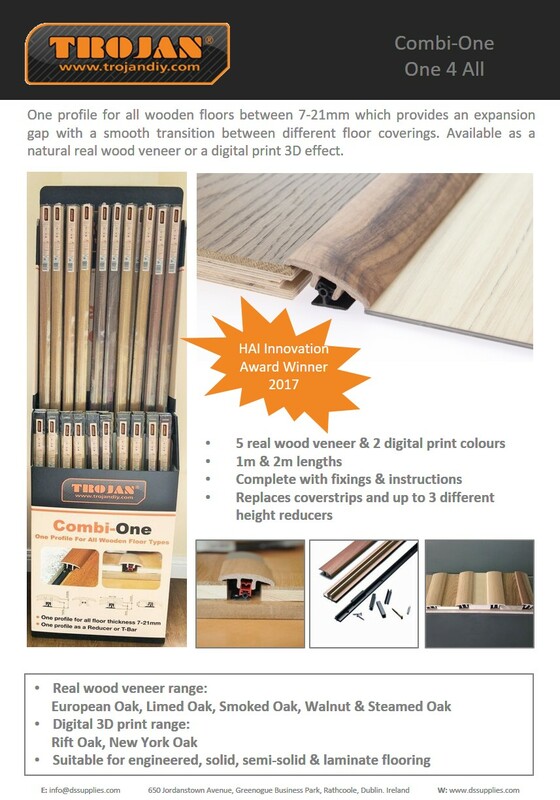 The Trojan range consists of one of the biggest ranges of flooring accessories in Ireland & UK. The brand has been exported to other countries in Europe such as Holland & Germany. Trojan has proved to be innovative by keeping abreast with the latest market trends. Consumers will continue to have the best ranges of floor accessories with the widest choice of colours available. The Trojan brand is available now in ALL leading DIY, Hardware & builders merchants nationwide. All products are barcoded, labelled with features & benefits. Displays stands along with point of sale material is available to retailers.